Tis the season to give fun gifts…and get something awesome for yourself too! 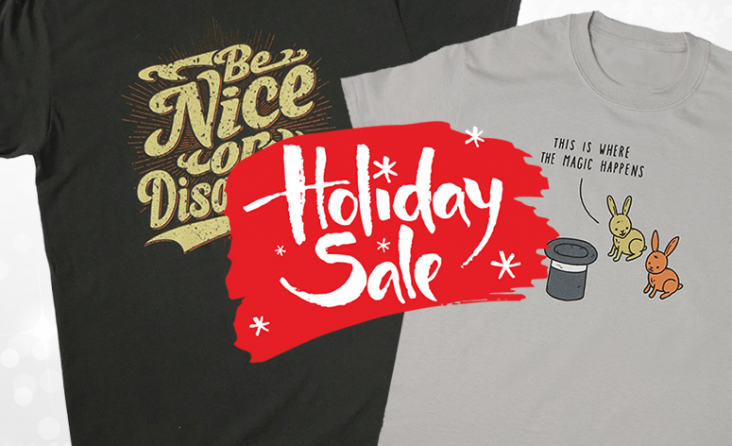 The Chris Linn holiday merch sale is going on now! Get a funny shirt for only $8.00 or get the “Shenanigans with Chris Linn” DVD for just $6.00 and learn something cool to amazing, amuse and annoy your friends at your next holiday party. Plus, we will ship your order for free in the US (because we are nice! )..and only $2.50 anywhere else (which we still feel is pretty nice). Domestic orders placed before 12/10 will arrive before Christmas. International orders should be placed before 12/5 for Christmas delivery. Sale ends 12/10. Shop the online store.